Sign up for the waitlist to get travel packages to Dallas to see the Winter Classic between the Nashville Predators and Dallas Stars on January 1st 2020 at the Cotton Bowl. Elite Sports Tours is excited to work with Travel Texas to provide sports fans with an awesome Texas experience when traveling to see the Nashville Predators vs. Dallas Stars, in what is sure to be a memorable Winter Classic hockey game. Packages will include game tickets, hotel and other VIP experiences, including a New Years Eve Celebration you won't want to miss! We will have on site staff to help you get from the Hotel to the game at the Cotton Bowl with Elite Sports Tours reps assistance. Elite Sports Tours has secured some great hotel locations with our local partners. 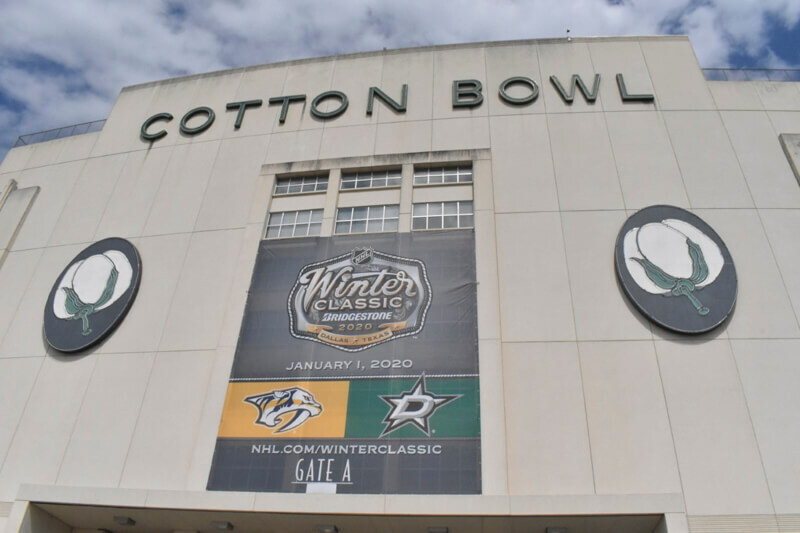 Travel to Dallas to see the Nashville Predators vs Dallas Stars January 1st 2020 at the Cotton Bowl for the annual Winter Classic Outdoor Game. 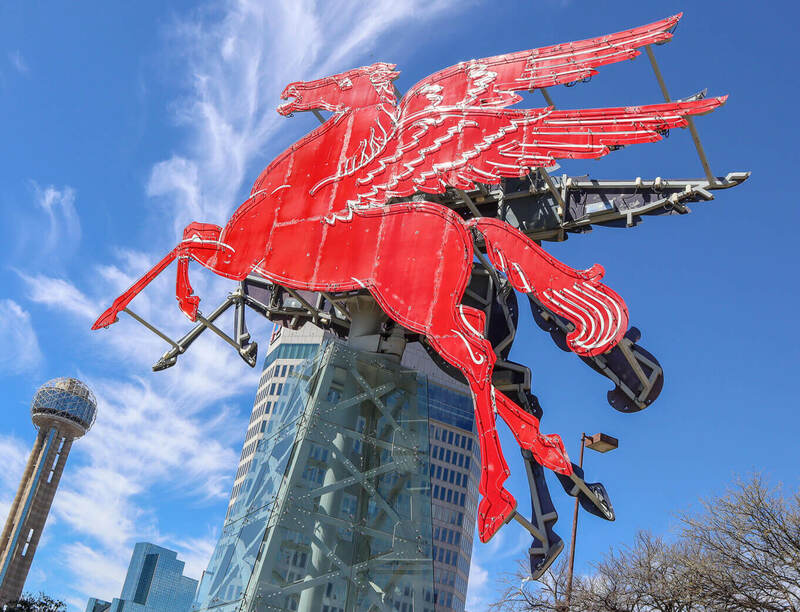 Travel packages will incude multiple hotel night accomodations, Shuttle Bus Transportation to the Cotton Bowl and Tickets together for your group to the game on January 1st, 2020. The Outdoor Game is just part of the fun! Elite Sports Tours will have on site tour reps to help assist you during your stay. 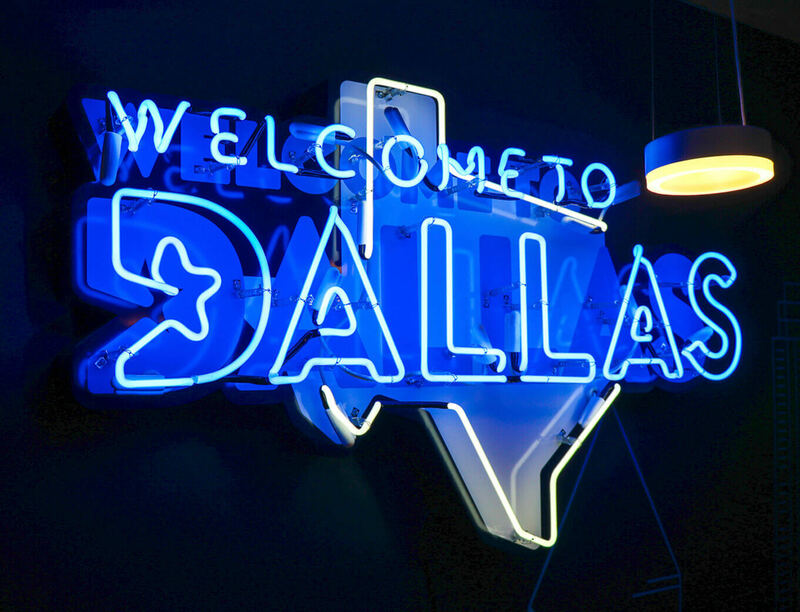 With so much that Dallas has to offer, including the surrounding areas of Fort Worth and Arlington, we are excited to have a jam packed itinerary of things sports fans can do during their visit to Dallas, Texas! 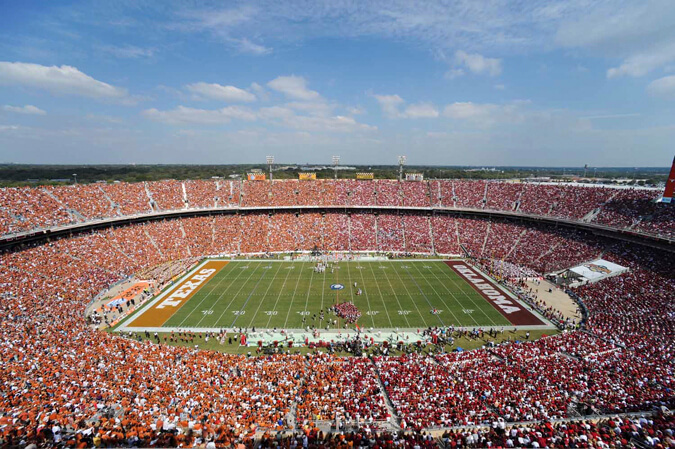 Not only do we have an awesome travel package to see the Nashville Predators vs Dallas Stars at the Cotton Bowl on New Years Day, Elite Sports Tours has some awesome stuff in store for fans who are traveling to Texas for the outdoor game. We have New Years Eve covered as Elite Sports Tours will host all the fans to kick off the New Year celebrating in Texas! Sign up for the waitlist to get first access to our travel package experience. Get your name on the waitlist to be notified when Nashville Predators vs Dallas Stars Outdoor Game Travel Packages become available. Let us know your name, phone number and email so we can contact you once our packages are released. See everything Texas has to offer during the New Years Winter Classic. Elite Sports Tours will be offering some exclusive travel packages to the January 1st 2020 Winter Classic Cotton Bowl between the Dallas Stars and Nashville Predators. Once packages become available you will be notified by email.